Written by Felipe Azenha & filed in Architecture, Urbanism. 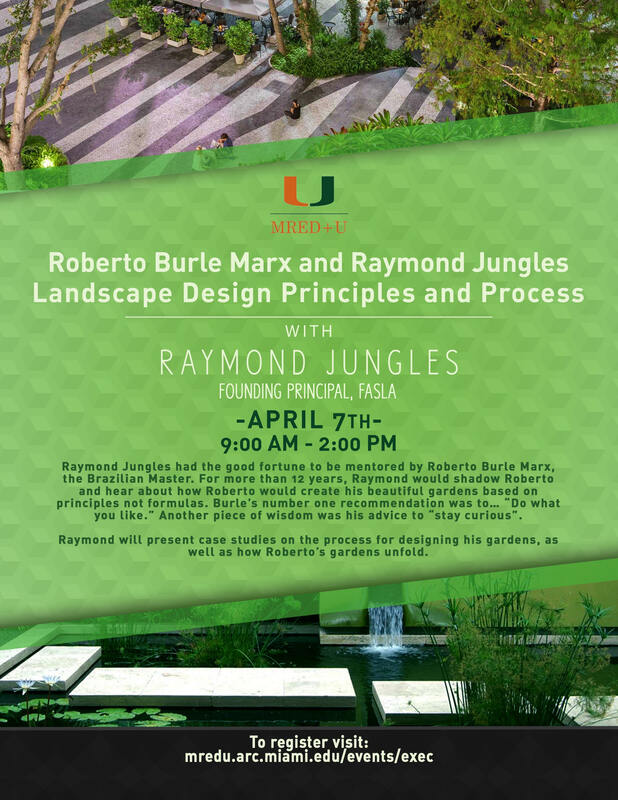 Raymond Jungles will be offering an Executive Education seminar on Landscape Design Principles and Process at the University of Miami School of Architecture. Raymond Jungles had the good fortune to be mentored by Roberto Burle Marx, the Brazilian Master. For more than 12 years, Raymond would shadow Roberto and hear about how Roberto would create his beautiful gardens based on principles not formulas. Raymond will present case studies on the process for designing his gardens, as well as how Roberto’s gardens unfold.